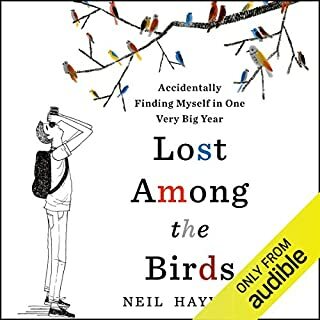 With summer winding down, I’ve been obsessed with trying to spot as many seasonal birds as possible before fall migration begins—so I thought Neil Hayward’s memoir of his &quot;accidental big year&quot; would be the perfect companion to keep me satisfied when I couldn’t be out there staring at the trees. A “big year,” for the uninitiated, is when a birder challenges themself to see as many bird species in one calendar year as possible. As the title explains, Neil reluctantly stumbled into his own after a midlife crisis in which he quit a joyless job, lost a long-time relationship, and found himself struggling with depression. I won't lie: this memoir is probably most enjoyable if you have at least a passing interest in birds, but it really is about so much more than that particular hobby; it’s about discovering the purpose and meaning in your life—in things (and birds) both big and small. Neil doesn’t narrate, but his proxy Sam Devereaux does an excellent job conveying the author’s delightfully wry British humor and infectious enthusiasm. This book was a major unexpected delight for me. I've always been intrigued by plagues but usually just in the realm of sci-fi. I wasn't sure if a nonfiction book on the subject could really hook me. 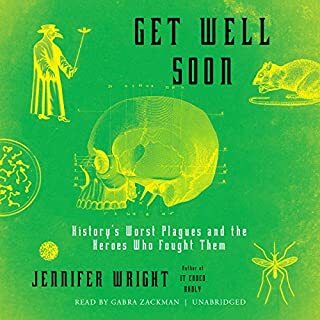 However, in Get Well Soon, author Jennifer Wright presents a whimsical, fascinating, and often hilarious exploration of an otherwise grim topic. Combining history, sociology, and science, she traces some of the most horrific plagues in human history from their origins to their eventual cures. Throughout each narrative, Wright peppers in fun facts - such as the belief that filling your house with onions could stave off the plague - while paying full respect to the victims of these illnesses. Gabra Zackman gives a downright masterful performance, perfectly delivering both the somber facts and wry humor. If you're a fan of Mary Roach or, like me, have even just a passing interest in the topic, don't hesitate to give this one a try. A fellow listener named Joseph compared this book to Firefly, and I couldn’t agree more. 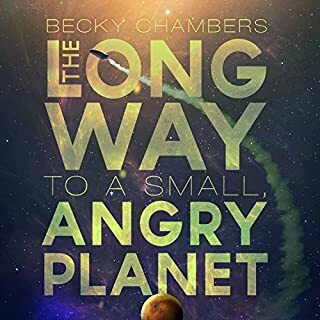 Becky Chambers’ remarkable debut has many of the components that turned that short-lived series into a cult phenomenon. There’s plenty of sci-fi action and adventure, but the heart of the story is definitely the characters – a mix of humans and other sapiens (plus one AI). As their individual stories unfolded, I found myself relating in some way or another with each and every one (yes, even the AI). Narrator Rachel Duluth is a huge part of that experience; in a novel with a large ensemble cast of characters, some of which spawn their own mini-ensemble of minor players, it’s no small feat to imbue each with his or her own unique and instantly recognizable voice – but Duluth does just that. I’m so glad this is a series (the second book is up for the Hugo this year), because even after 15 hours, I’m eager to spend a little more time in this world with these weird and wonderful creatures. I finished this novel a few months ago this point, but it’s still lingering as if I had just finished moments ago. 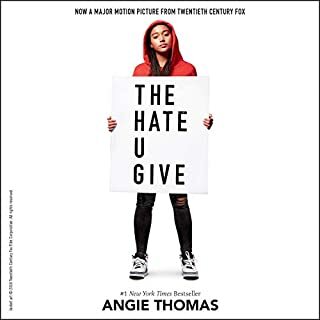 I think that feeling is a testament to just how heartbreakingly timely this story is and how effectively debut author Angie Thomas captures this moment in history through the eyes of one very captivating young character – Starr Carter. My fellow reviewers have already described this book as required listening, and I’ll echo that statement. Whether you’re a teen or an adult, whether you think you have a strong opinion on this issue or have felt distanced from it – listen to this book. Bahni Turpin’s performance in this book is nothing short of masterful. I was blown away by how effortlessly she embodied not only sixteen-year-old Starr, but also her family, circle of friends, antagonists, and supporters. The relationships felt all the more real, and the emotions all the more palpable, thanks to Turpin’s interpretation. This book had been on my "to-listen" list for a while when I finally decided to pick it up right before a vacation to Iceland. Since it took place there, it felt like the perfect lead-in to my trip, and I hoped I might even learn a thing or two about the country itself. I certainly was not prepared for how much I was going to fall in love with this beautiful, emotionally devastating story. Months later, I find I still can’t stop thinking about it. 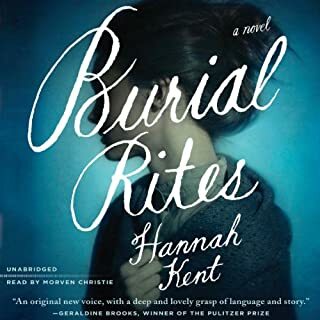 Burial Rites tells the fictionalized story of Agnes Magnúsdóttir, a real woman who was sentenced to execution for her role in the murder of two men in 1928. Author Hannah Kent couldn't have set the scene more perfectly. Her descriptions of the harsh, bleak Icelandic landscape brilliantly captured the mood of the novel, making me feel like I had been there before my plane even landed. Her prose is rich with vibrant (and sometimes uncomfortable) detail, immersing the listener in the story completely through all five senses. It was mind-blowing to me that this was Kent's debut novel – I'll be eagerly awaiting her next. The real star of the book was narrator Morven Christie, who absolutely nailed the unique pronunciations and sounds of the Icelandic language (I even referred back to the audiobook when trying to pronounce certain street & town names – she was THAT good). Her characterizations were so spot-on that at times I had to remind myself that she was the only one reading. In a book that shifts perspectives from chapter to chapter, her skillfully nuanced voice carried the story along effortlessly. It sounds strange, but I wish I could somehow magically forget this book just so I could experience it again for the first time. But with a story and performance so unforgettable, that’s just not likely any time soon. Obligatory lecture: If you love audio, and you have not yet checked out 14, you should. 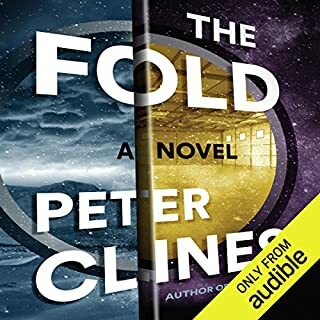 That said, The Fold – which is set within the same universe, but stands on its own – may just as easily make a Peter Clines groupie out of you. This sci-fi mystery follows Mike, a not-so-ordinary high school teacher hired to investigate the scientists behind The Albuquerque Door, a machine that has made teleportation possible. It seems to work fine... but as he digs deeper, Mike soon realizes the scientists are hiding something. It's a signature Clines story, full of puzzles, fun characters, and plenty of weirdness. The cherry on top is 14 narrator Ray Porter, who so perfectly embodies the authors' characters and tone, mastering his unique blend of sarcasm and suspense. I think 14 is still my favorite of the two books, but I have a feeling I'll be recommending The Fold just as frequently from now on. Side note: If you're a LOST fan like me, listen carefully - you'll have fun catching all the little nods Peter Clines sprinkled throughout this story! 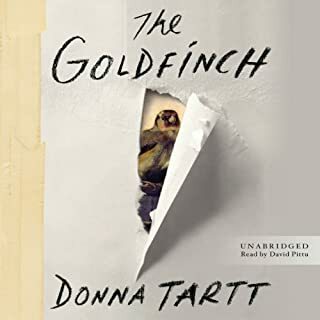 The Goldfinch is one of those rare books that makes me wish I could turn back time so I could experience it again for the very first time. Epic in both narrative scope and in length, it’s a heartbreaking and gripping coming-of-age story that is simply destined to become a modern classic. Narrator David Pittu takes on the mammoth task of voicing Tartt’s captivating characters over years of growth, regression, and change – and in the process, he creates a beautiful, familiar kinship with each character that resonates with the listener long after the final chapter. Just moments after hitting “play” on The Invention of Wings, I knew I was about to experience something special. 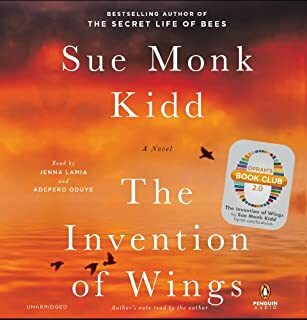 I was perhaps not as familiar with the writing of Sue Monk Kidd as some of my fellow editors, but I decided to listen upon hearing their praise for this novel. And my interest was piqued even more when I learned that the character of Sarah was based on the real-life Sarah Grimke, an abolitionist and early feminist. What I discovered was a beautiful, complex tale of morality, loyalty, and the ever-enduring desire for liberty. Kidd’s writing is full of complex, poignant phrases and detailed scenery that often took me by surprise, forcing me to pause and allow myself to sit with the words a moment longer. After listening, I can’t imagine experiencing this story any other way than through the voices of talented narrators Jenna Lamia and Adepero Oduye, who brought Sarah and Handful (among other characters) to life with such perfect emotion. I believe listeners will be talking about this book for years to come - I know I will! Narration is key: so glad I listened to this one! 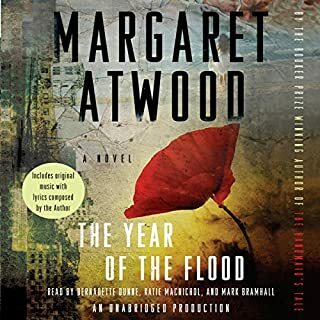 When I read Oryx and Crake, I was so delighted and impressed by Atwood's creative storytelling that I was actually nervous to move on to the next title in the series. I'm glad I finally took the plunge in audiobook format. The performances of these three narrators bring a captivating kind of realism to the story and the characters they portray. While I think Oryx and Crake is still my favorite of the two, I loved getting to further explore this frightening universe through the eyes of Ren & Toby. I look forward to finishing this series with MaddAddam!